Manier & Herod is one of Tennessee’s oldest, most trusted law firms. Our experienced attorneys are respected by clients and peers alike for their unwavering commitment to excellence in a wide range of important practice areas. From surety and fidelity law to insurance coverage, from creditors’ rights and workers’ compensation to employment law and civil litigation, from estate and business succession planning to probate, we offer quality, creative counsel in greater Nashville, across the State of Tennessee, nationwide and internationally. When major insurance companies and professional practices find themselves in need of advice and representation, we are wise advisers and aggressive advocates in court, start to finish. From moments after an injury occurs to the approval of a settlement, our experienced attorneys offer expert advice to help businesses and insurers achieve cost-effective resolutions for every type of workers’ compensation claim, and if settlement fails, our attorneys handle complex litigation, from expedited hearings and trials to appeals before the Tennessee Supreme Court. 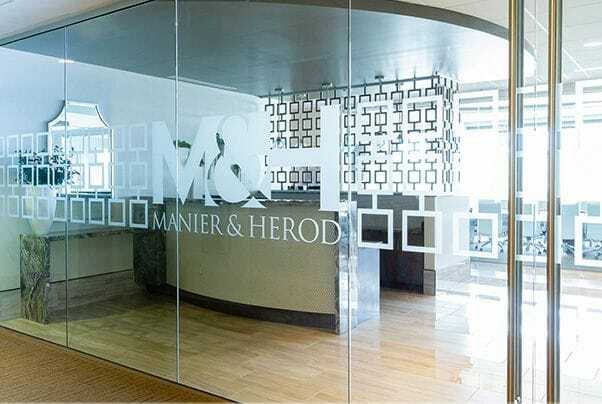 Manier & Herod attentively assists owners of established and emerging businesses, entrepreneurs and licensed professionals with private practices through all stages of the life cycle of the business. Whether building a customized, forward-looking estate plan or coordinating a family’s trust administration, we are the source of information and leadership you can count on.